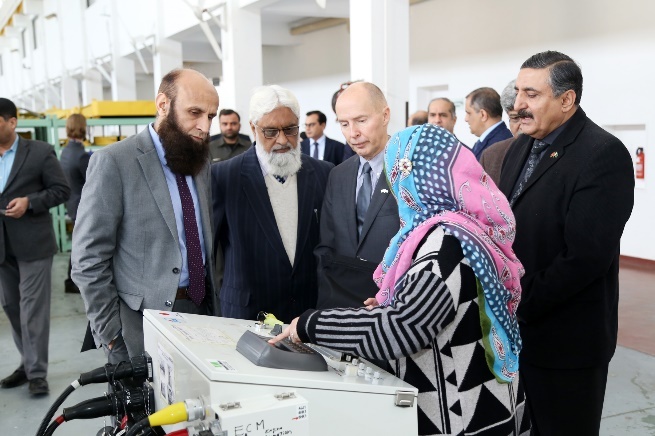 Finland ambassador visited National University of Technology (NUTECH) and CTTI on 28 February, 2019. Registrar gave meticulous briefings on the NUTECH aims, education system, objectives and university international industrial collaborations. 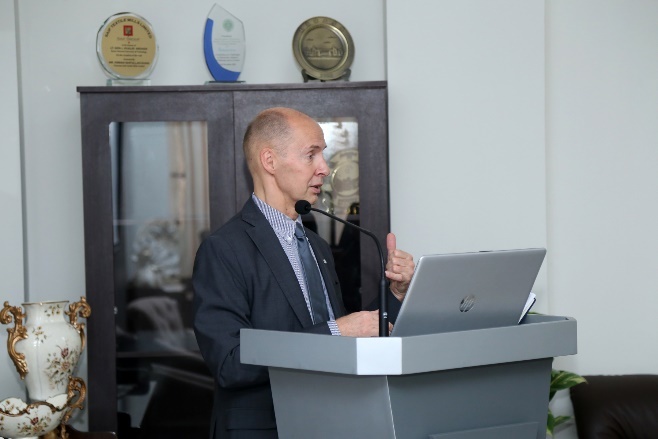 Finland ambassador also briefed about the Finland education system and highlighted how the academic and creative skills are imported to their students by providing them such courses in their education programs that enable them to learn skills and degree courses together. The Ambassador, after the briefing, visited the campus and interacted with the students in the classrooms and CTTI labs. The eye catching design of the campus building including labs and classrooms impressed the honorable guests and he especially appreciated University's efforts to attain this standard in such a short time. At the end, Rector presented souvenir and thanked the honorable guest with the hope to make this Finland partnership more meaningful in the coming days. 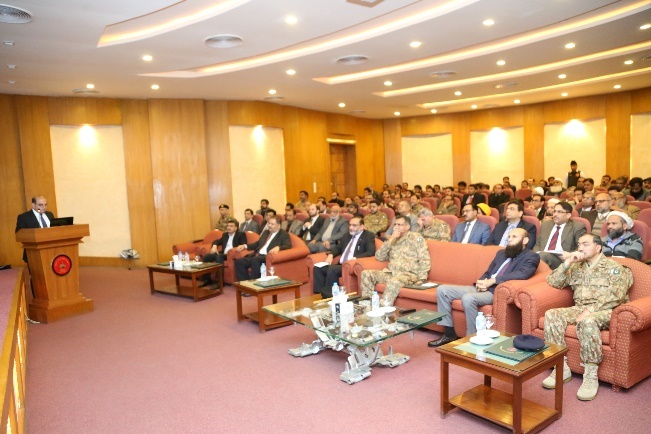 NUTECH Rector alongwith faculty, all deans and Registrar visited Heavy Industry Taxila (HIT) on 26 February, 2019. HIT has engaged NUTECH as "Integrator University" for its research projects of national significance. In this context, subject meeting was held and NUTECH act as role of technical coordination agency. Registrar NUTECH Dr. Syed Adnan Qasim presented project plan of HIT Tank Engine Research Project (TERP). This event will facilitate integration of all available types of intellectual academic and research inputs on the platform of NUTECH in near future. 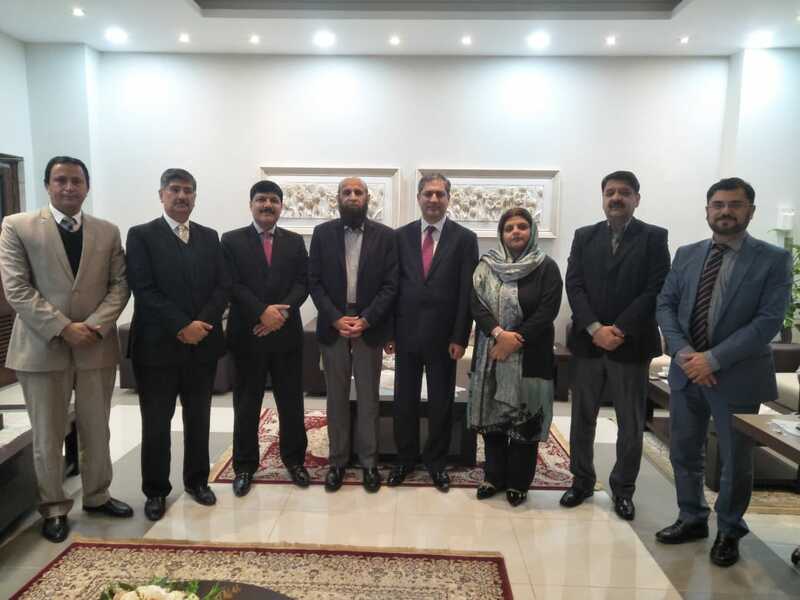 Senior Regional Chief HBL Gul Buhar Khan along with his team from HBL Islamic Banking Branch Haider Road, Rawalpindi visited NUTECH on 6th Feb, 2019. Rector warmly welcomed the team. Both the parties agreed that the banking system should be efficient and banks should play their imperative role in improving Pakistan's economic condition. In this meeting, HBL presented a generous donation of 5 million rupees grant in the endowment fund established by the university. This fund will be used in the form of need-based scholarships for deserving students of NUTECH. Earlier, HBL also facilitated NUTECH in banking services such as loan concessions, zero money transaction cost and other useful benefits. The Rector acknowledged and gave vote of thanks to the HBL team. 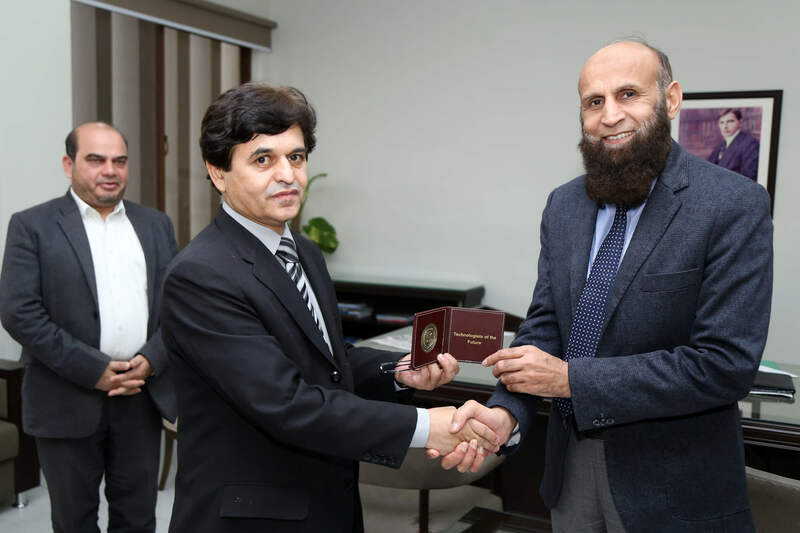 At the end, the Rector formally invited the respective guests and President of HBL Muhammad Aurangzeb to become part of NUTECH International technology symposium (NITS) planned to be held on 11-13 March 2019. 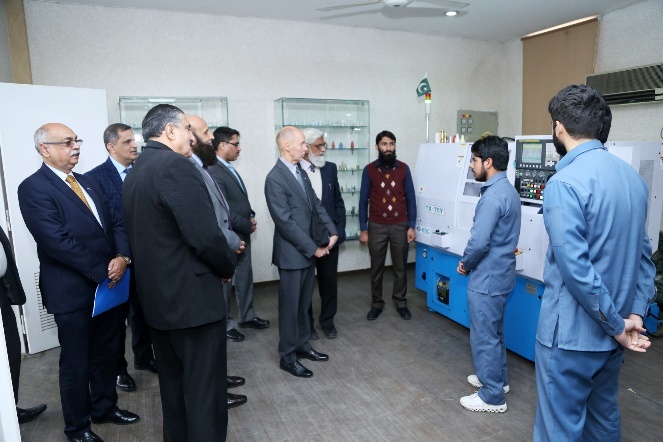 A four-member delegation from Rohde & Schwarz Pakistan (Pvt) Ltd visited NUTECH on 4th February, 2019. 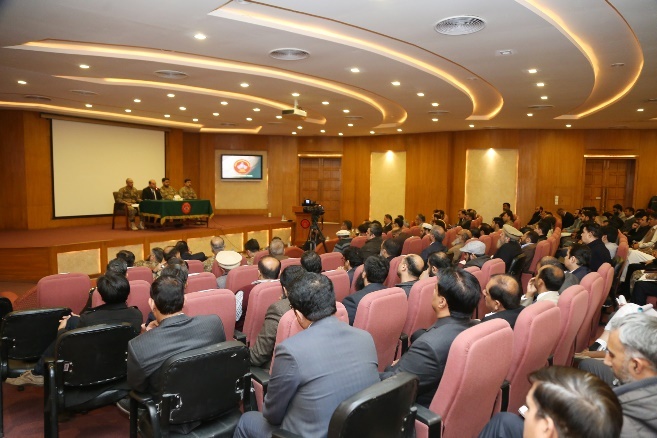 Rector briefed about the vision, mission and education system of the university. 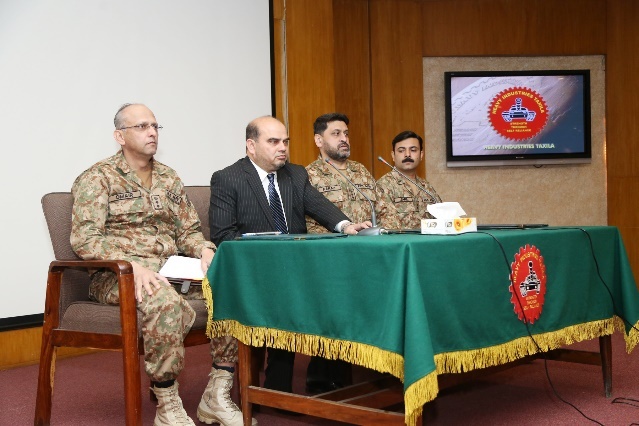 R & Smanaging director Mr. Haris briefed about the company and its operating systems (test & measurement, cyber communication security, analog with digital broadcasting and radio monitoring). 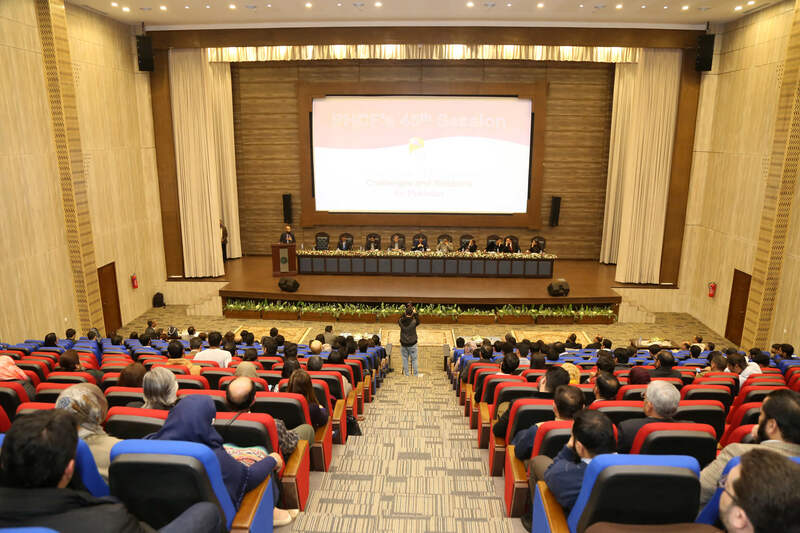 Rector stressed that the vision of the university focuses on promoting high technology skills and fulfills the future industry requirements.Discussion points comprised of future alliance work plans about students technical competency development, establishments of labs, seminars, exchange of guest speakers lectures, internship programs and enhancement of research and development systems. Both the parties showed interest in future partnership with each other and a generic agreement in the form of an MOU.The Rector also formally invited the respective guests to become part of NUTECH International technology symposium (NITS) and presented commemorative shield to the worthy guests. 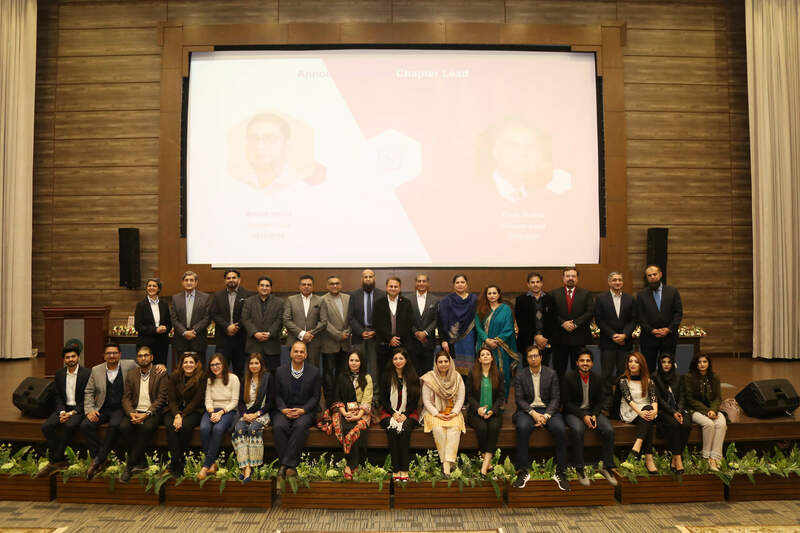 The session on "Human Capital Development Challenges and Solutions for Pakistan" was hosted by NUTECH on 1st February in the university auditorium. 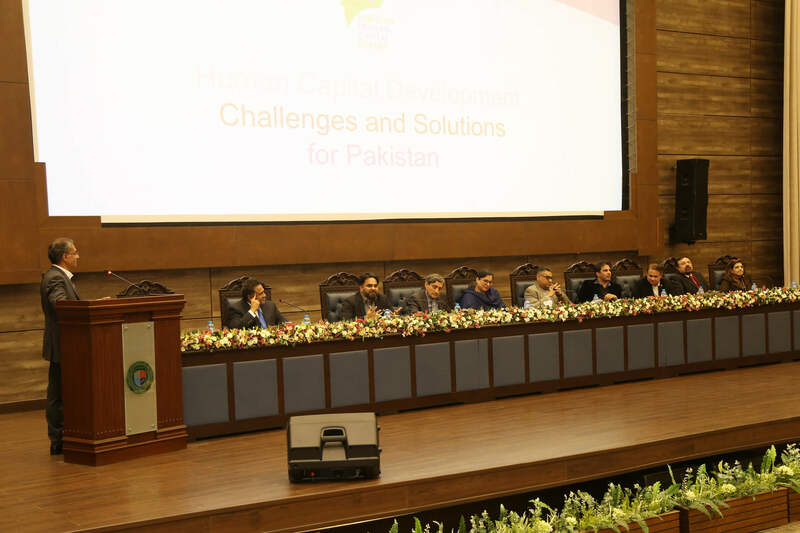 This panel discussion in collaboration with Pakistan Human Capital Forum (PSDF) provided an opportunity to the students and NUTECH staff/faculty to learn about skills development challenges and solution for Pakistan. 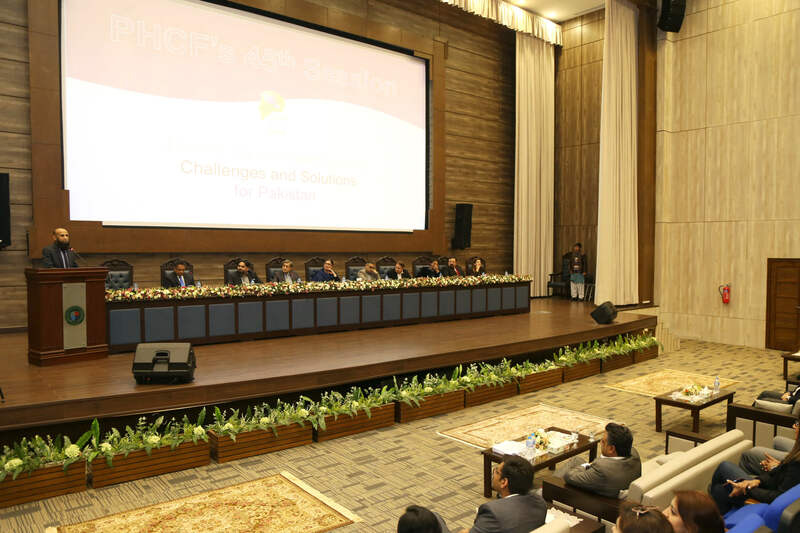 People from multiple facets and known names of leading industries HR fraternity were the key speakers. As chief guest, Rector commended the core team of PHCH for conducting this session and professed that the NUTECH will produce technology leaders in Pakistan.While addressing the faculty and students, he said that as the youth are more innovative, potential, hard worker and promising, only they can bring change in technology imperative world.In the end, The Rector said,"If Pakistan has to progress we need to be an industrial nation and to be industrial nation we need to grasp the technology changes and move with the world".This one-day workshop also provided an opportunity to the NUTECH students to learn and get critical insights of the professional world of 2019. 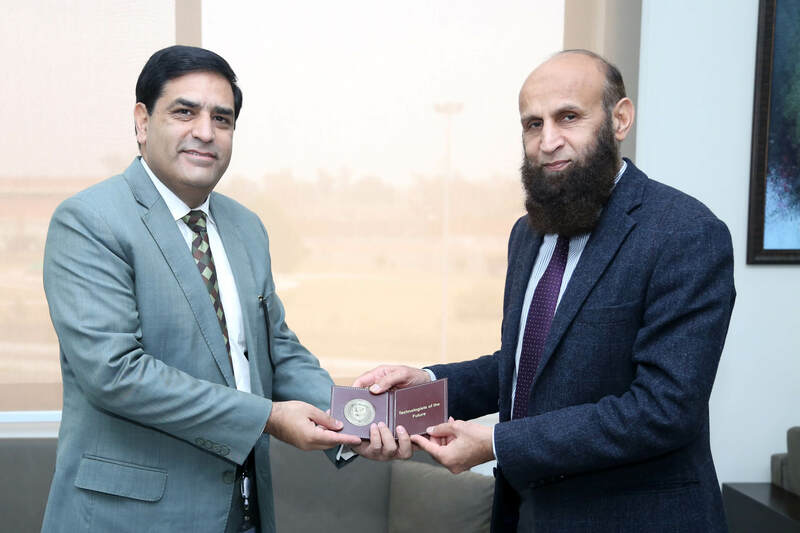 Dr. Ehsanullah Kakar, vice chancellor of Balochistan University of Engineering and Technology, Khuzdar visited NUTECH on 1st February 2019 to discuss the matters related to new campus of their university in Hub region. 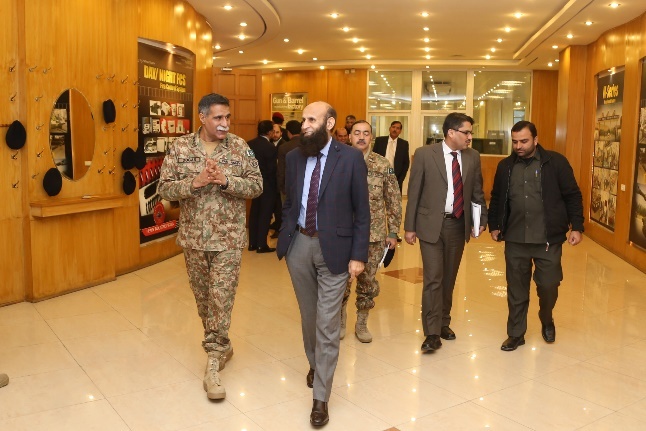 The Rector welcomed and briefed about the NUTECH scope and education system which focuses on creating technology leaders who create, innovate and implement solutions to industry problems.NUTECH will facilitate the Balochistan University of Engineering and Technology new campus in terms of academic, training development of students in the form of curriculum direction, education guidance, and exchange of faculty/staff. The Rector also formally invited the respective guest to become part of NUTECH International technology symposium (NITS) and presented commemorative shield to the worthy guest.